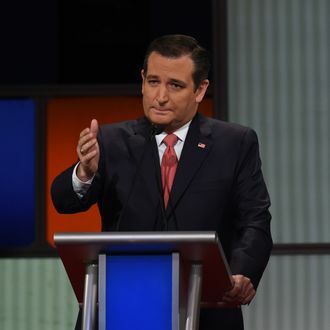 Ted Cruz opened Thursday night’s debate by promising that if he were president, we would be at war with Iran by now. That would seem like a reasonable, if bellicose, reaction to the abduction of American soldiers from an embassy or military base. 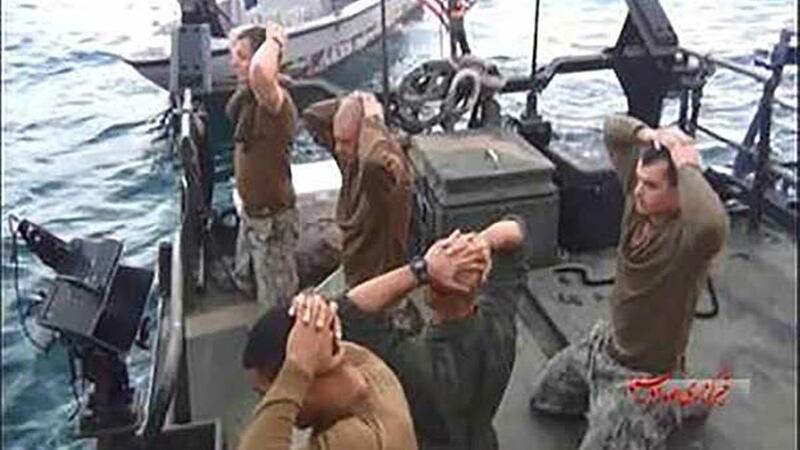 But the ten sailors kneeling in those “horrifying” photos were captured after their vessels drifted into Iranian waters — right outside an Iranian naval base. Imagine an Iranian military vessel showed up in U.S. waters unannounced. Imagine America nonviolently apprehended the soldiers on that vessel, then released them within 24 hours. Would such a humiliation give Iran cause to launch its “full force and fury” against the American people? As Politico’s Michael Crowley observed, Cruz’s apparent position is that the United States should have the right to violate an enemy’s territory at will, with impunity. Which would entail the full-scale abandonment of international law. Of course, it’s possible that Cruz was simply ignorant of the circumstances behind the sailors’ capture. Maybe he reads the newspaper for the pictures, not the articles. Or maybe he just counts on his audience having such a habit.